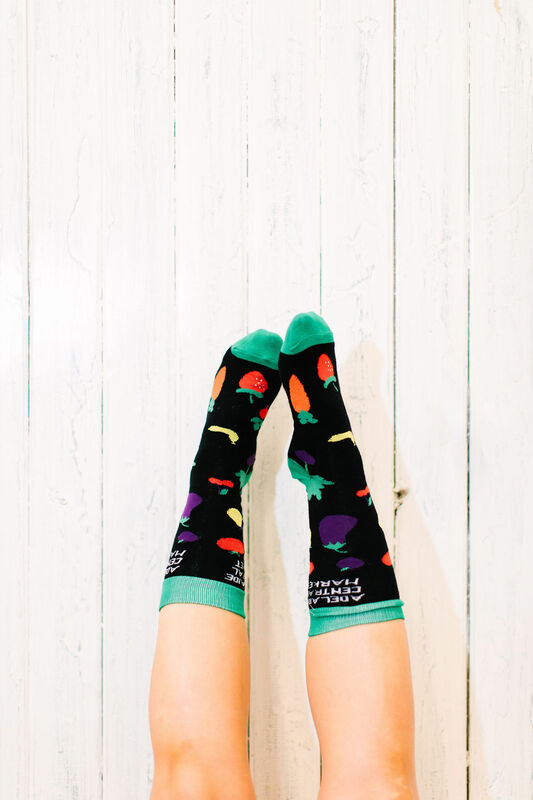 Market Socks - Adelaide Central Market: The City of Adelaide's premier food destination. Over 70 traders under one roof. Introducing our NEW Market Socks! Our new comfy socks are the perfect addition to your work wear, favourite boots or to wear in the comfort of your own home. 80% organic cotton / 18% nylon / 2% elastane. Warm gentle machine wash, line dry in shade or tumble dry on low heat setting. Please note all pairs are unisex size 7-11.